DNP Canvas began in the 1980s by the current owner, Nick Peck’s, father. Nick’s father first began working in the canvas industry while he was in the service. Nick started working for in the business since 1986, and purchased the company when his father retired in 2006. What started out as a small, family-owned and family-run business back then has now turned into one of the highest-quality, competitively-priced canvas companies in Minnesota. We have a strong team of individuals who all work together to create unique, lasting canvases for our customers. We handle a variety of orders for clients throughout the state. When we aren’t working, we are likely enjoying the outdoors. It seems everyone in our shop loves to fish, hunt, go 4-wheeling, and more! We work out of a 4,000 square-foot space, which allows us to work on every project indoors. We bring boats, pontoons and more directly into our shop for greater focus and increased security. We have sectioned our space well to ensure that every piece we work on remains clean and in good shape. Most of the fabrics we use come with a 3-year warrantee against fading. We offer a 3-year warrantee for all stitching. We offer a lifetime warranty on our own workmanship. Our dedication to quality and service is bar none. Put that dedication to work on your next canvas order. Call our Cambridge-based canvas company today at 763-552-3011 or contact our custom canvas team online. 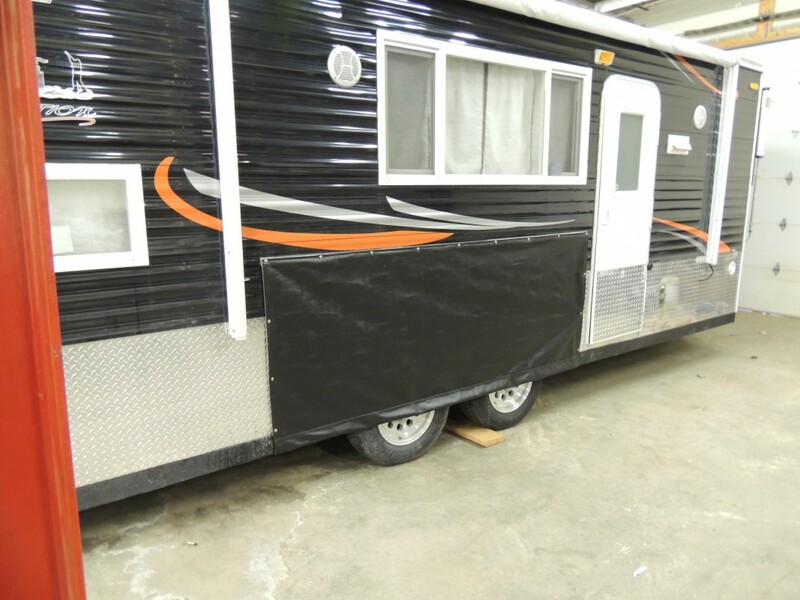 DNP Custom Canvas, Inc. specializes in custom design and fabrication for boat covers, pontoon covers, Bimini Tops, Bow & cockpit covers, Awnings for your Trailer or RV, Awnings for your home or business, Canopies, Gazebos, and much more! Looking for a Custom Canvas Solution? We use high quality material and the highest standards of workmanship to produce long lasting canvas work you will be proud to own. Contact us to discuss your canvas need, no job is to large or small. We love a challenge! DNP Custom Canvas specializes in custom design fabrication for all of our products. From boat covers to awnings, canopies and custom products we are your all-service stop for canvas. DNP Canvas: We Have it Covered! Shop hours are from 9 to 5 Monday - Friday.